Foghorn has appeared in 30 animated short films between 1946 and 1980. 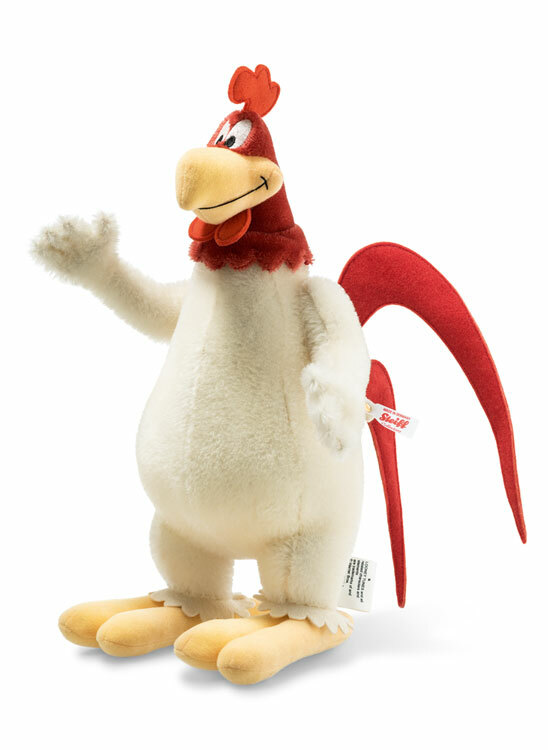 As the blabberin' baron of the barnyard, Foghorn is the original Dixie Chicken. Supremely confident, he's a first-rate practical joker. Barrel-chested and high-steppin', a bird of a thousand words, Foghorn Leghorn often uses 'fowl' language. Intended to be a supporting character in a Henery Hawk cartoon, this southern gentleman quickly upstaged the more diminutive fowl and launched his own career. 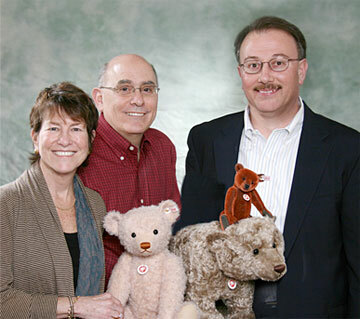 Made in fine Steiff tradition, Foghorn Leghorn is made of red and white mohair, orange cotton velvet and red felt. He proudly stands 13 inches tall. 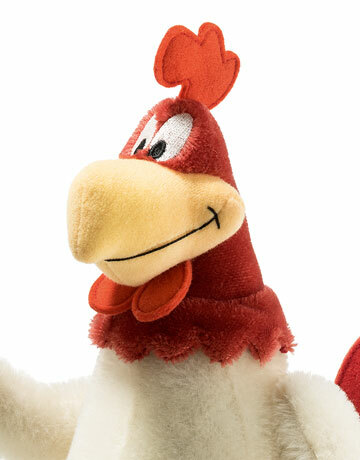 With his hand-stitched smile and embroidered eyes, Foghorn Leghorn looks like stepped right out of the cartoon! The designers at Steiff have given this proud fellow joints at his shoulders with wire armature in this tail and feet for added expression. 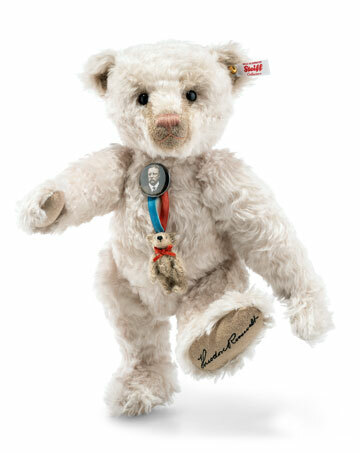 Features Steiff's iconic gold-platted button-in-ear. 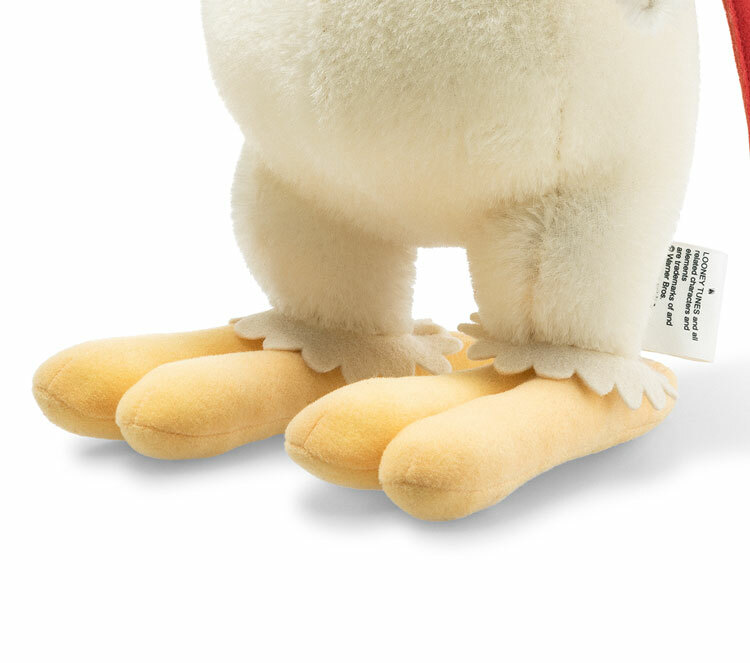 Foghorn Leghorn 354533 a 2018 Steiff worldwide edition limited to 1500 pieces. 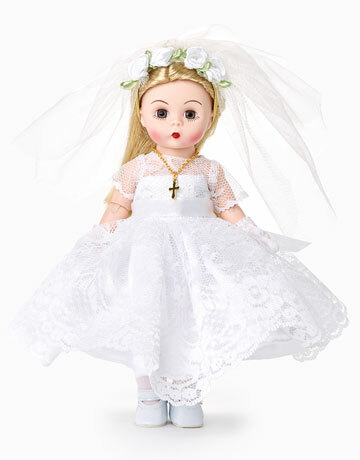 Although this is a collectors item, it is suitable for ages 14 years and up.